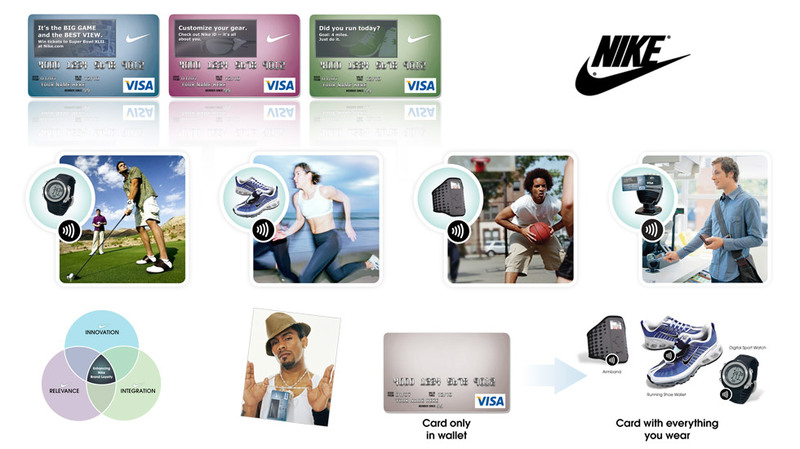 Presentation graphics supporting a GE Money initiative to launch a high-tech contactless Visa credit card. The graphics illustrate the product’s thin LCD technology and possible marketing opportunities for Nike and personalized messaging for Nike’s active customers. Art direction and visual design.